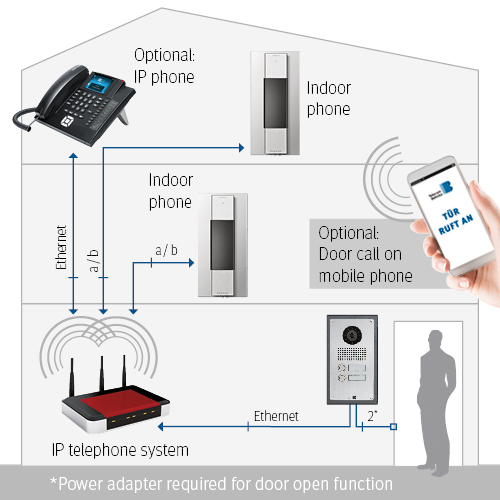 BioKey®Gate New Line uses the newly developed BioKey® 4000 Modul with a 400MHz frequency. They managed to reduce the false rejection rate (i.e. rejection of an authorized user’s fingerprint) to almost ‘zero’ (approx. 0.5%), even while using high-security settings. The false rejection rate has been minimised to such an extent that users no longer have to deal with any limitations when using their fingerprint systems in day-to-day applications. 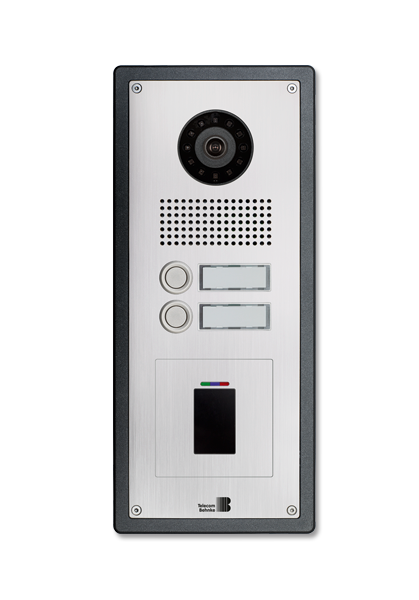 A saved fingerprint will work as it is intended to – regardless of any exterior conditions! Hence, BioKey® is especially suited for outdoor applications at front doors, gates or door intercom stations, which are naturally prone to be affected by weather conditions. As an additional innovation, the new Biokey® systems also feature automated fingerprint teach-in. 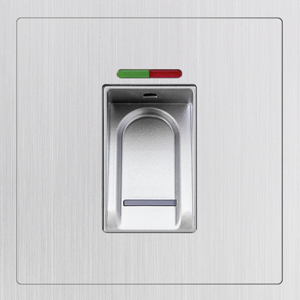 This function serves as a constant self-improvement tool for accurate fingerprint recognition – the sensor receives an intelligence of its own and the longer the system is in use, the better the fingerprint recognition! Self-cleansing sensor lines ensure that no fingerprints remain on the sensor surface, which could in turn be used for fraudulent activities. Neither different types of skin nor smaller lesions will interfere with fingerprint recognition. Just like ATMs, BioKey® uses a locking mechanism. Should a non-authorized person try to manipulate the system to force their entry, the system triggers a time-controlled locking mechanism. Any authorised user may override this lock-out at any time. Additionally, the system uses an encryption protocol recognised in high-security applications. To rule out possible manipulations, a unique system is created by pairing the indoor and the outdoor unit together at the plant. RFID as a modern means of communications becomes more and more widespread due to its increased use for access control by companies and the automotive industry. 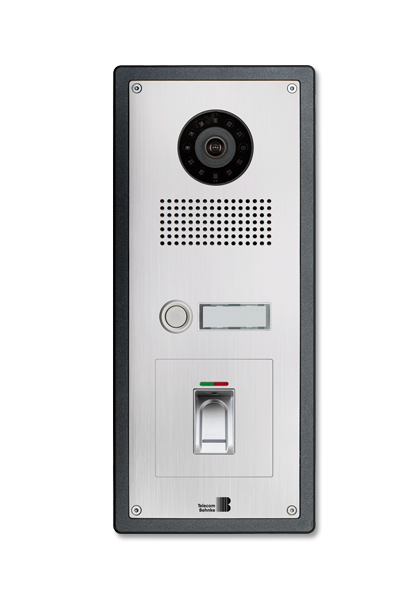 BioKey® RFID now provides a contactless technology as an ideal means to open the door. To keep up with high-tech demands and the current zeitgeist, IDENCOM has been looking for new ways in terms of design, creation and especially regarding materials used – and they have certainly found what they were looking for. The coloured glass with the RFID symbol and the BioKey® circuit board have been integrated into the housing and the cast is waterproof. The system is perfect for any outdoor application in all weather conditions. 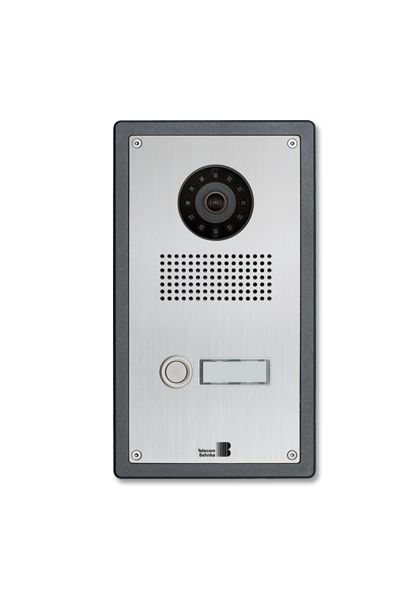 By including a code lock, you can easily open any door or entry by entering the right code. 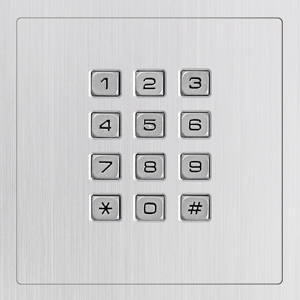 When entering the single- to four-digit code, the Series 5 control contact activates a connected door open function. And you get to assign two different code numbers for every control contact. 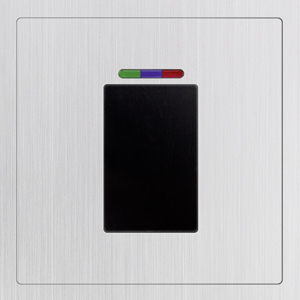 The code lock buttons feature a blue backlighting.